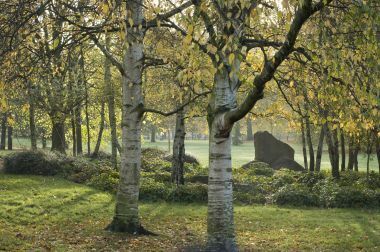 The Holocaust Memorial is a garden of boulders surrounded by white-stemmed birch trees, located to the east of The Dell. It was Britain's first memorial to the victims of the Holocaust. Autumn scene at the Holocaust memorial in Hyde Park.